One of my greatest pleasures each year is to travel to Washington DC to help the National Aeronautic Association with the National Public Benefit Flying Awards. Nominations arrive from across the country for individuals and groups who have performed beyond the call of duty to help others and to serve our communities, using general aviation aircraft. An all-star Selection Committee from the aviation industry and the world of charitable aviation then chooses recipients who exemplify all those performing such incredible work. The venue is appropriate - a stately, formal room in the United States Capitol Building. I know the recipients are as awed as I am of the surroundings. Given their contributions it is only fitting that they be honored in such a place and such a way. Each award presented also honors you and all the other volunteers, staff members, and supporters in public benefit flying, and helps our elected officials and the general public better understand what it is they all do. Each spring think of those you know who have gone "Above and Beyond" the normal work and who should be considered for similar honors, and submit your own nominations. It's been a very busy summer to say the least. 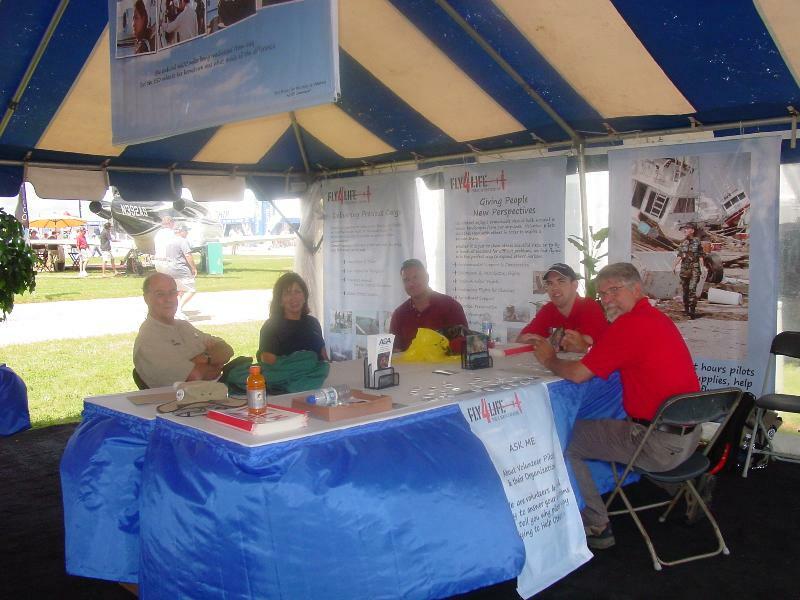 After our fantastic conference in Reno, we quickly moved to planning for our exhibit at EAA's AirVenture 2010. Again this year, we were provided, courtesy of EAA, prime real estate on the west side of Aero Shell Square. From this vantage point, we could watch the daily air shows and all the activity on Aero Shell Square. It also provided for a good flow of visitors throughout the week. Each day, our tent staff was augmented by the tremendous group of volunteers from the International Association of Mission Aviation (IAMA). On the Tuesday of AirVenture, we were hosted by EAA's Government Relations Director, Randy Hansen for a meeting with representatives from all over the Volunteer Pilot community to discuss the NTSB recommendations and our response. We had a very productive discussion among those represented and this valuable input helped us formulate our final response to the NTSB. Thanks very much to Randy and the EAA for being such great hosts and accommodating our group. Looking forward, we are very excited to be on the program again this year at the AOPA Summit in Long Beach, CA. (http://www.aopa.org/summit/) If you can make it to the West Coast November 11-13th, we would love to have you stop by our booth and say hello. We will also be presenting a forum titled Beyond the $100 Hamburger: Flying to Help Others. This forum will be held Friday, November 13 at 3:30 pm and will feature an all-star panel with Walt Fricke, Founder and Air Boss of the Veteran's Airlift Command; Alan Dias, Executive Director Angel Flight West; noted aviation author and attorney, Rick Durden; and our very own Rol Murrow. Come join us for a lively discussion and help us encourage others to participate in Public Benefit Flying. Also at the AOPA Summit, we will be presenting the AOPA Foundation with a check for the first installment of the funding required for our Volunteer Pilot Safety Course.We have a long way to go to finish raising all the required funds, but this is a good faith effort to help get the project started.Thank you to all who have contributed so far and please continue to encourage other groups, individuals, and corporate entities to help sponsor this very important program. Lastly, to all the volunteers and volunteer pilots out there: you are making a difference each day and we want to encourage you to continue serving your communities through charitable aviation.Your service continues to inspire others and your dedication in these tough economic times is commendable. Thank each and every one of you who are on the vanguard. Honoring Those Who Have Gone "Above and Beyond"
On September 16th leaders from the aviation industry and government met in the Lyndon B. Johnson Room of the United States Capitol Building to congratulate and honor the recipients of this year's National Public Benefit Flying Awards. "Just as in years past, this year's Public Benefit Flying Honorees symbolize the very best of the people, organizations, and equipment which make up the aviation community in America," said Jonathan Gaffney, President and CEO of NAA and Chairman of the Selection Committee. "These awards reflect the selflessness of our industry and the benefit it provides to people throughout our continent. We are very proud to be part of this program." 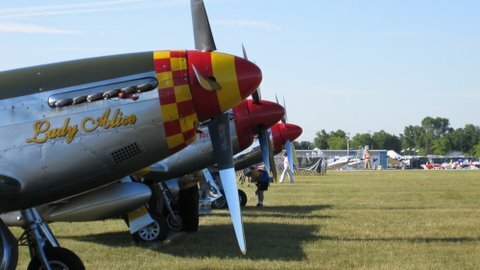 The Public Benefit Flying Awards were created to honor volunteer pilots, other volunteers, and their organizations engaged in flying to help others, and those supporting such work. 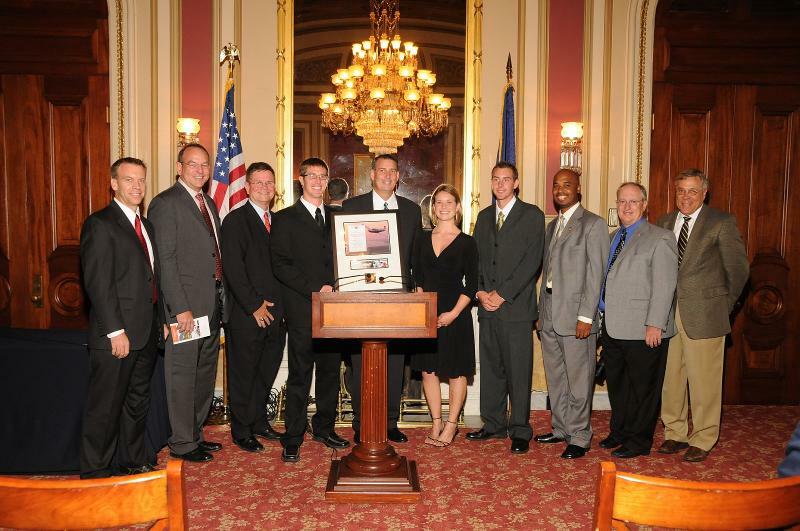 Since 2003 dozens of awards have been presented at the celebratory Above and Beyond Awards Ceremony, held each fall in the United States Capitol Building. Linda Daschle, former FAA Deputy Administrator for Airports, has been a leader in making the awards event possible. Gene Schmidt of Bahamas Habitat was presented the Distinguished Volunteer Pilot Award for his extraordinary service flying many missions in his Baron aircraft transporting medical and other supplies and relief personnel from Florida to Haiti following the devastating earthquake of January, 2010. 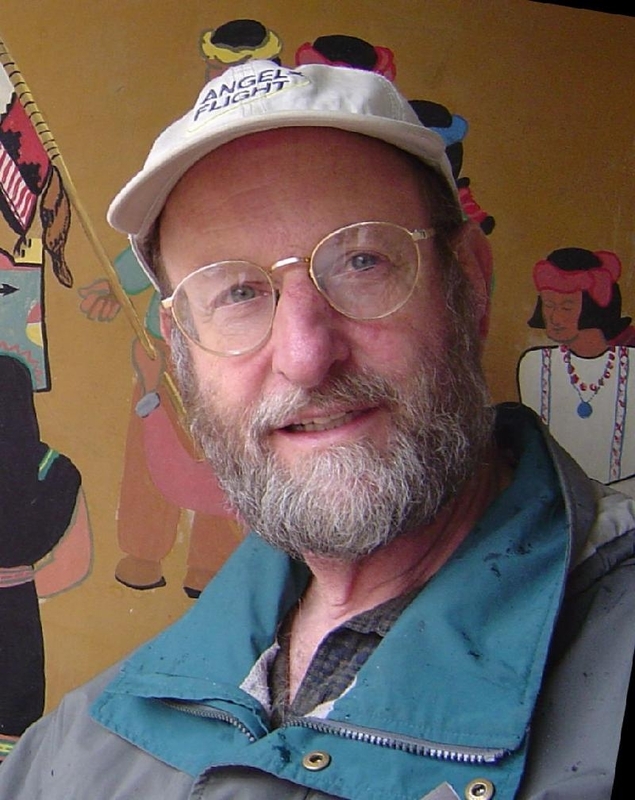 He also was a leader in supporting or coordinating other relief efforts. The award for Distinguished Volunteer was presented to Captain Justin Ogden of the Civil Air Patrol, Southwest Region, Arizona Wing, for his pioneering development of cell phone location analysis, which has greatly enhanced search and rescue operations across the United States. Many individuals & groups were honored for their Haiti Relief Efforts. Bahamas Habitat, received the award for Outstanding Achievement in Public Benefit Flying. The organization took on an early leadership role in mobilizing aviation and charitable resources to help the people of Haiti following the devastating earthquake in January, 2010. This year's Teamwork Award was dedicated in honor of all volunteer pilots and other volunteers who worked so well together conducting flights in support of the Haitian Relief Efforts. The Award was presented to Bahamas Habitat, AERObridge, and the National Business Aircraft Association for their joint work coordinating and supporting the flights of volunteers from the many groups who provided essential aid following the Haiti earthquake. More photos of the 2011 Public Benefit Flying Awards ceremony may be seen at the NAA photos page. For a complete list of prior award recipients with photos and descriptions of their accomplishments please read the Prior Recipients PDF located here. 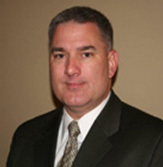 Nominations for the 2011 Awards will be accepted starting in March, 2011. Visit the NAA website for further information. A part of my role as Membership Committee Chair for the Air Care Alliance is to ensure that we capture, record and maintain contact and other information on each of the organizations listed. The data that we capture about each of your groups allows us to accurately share and communicate with each other, the general public, government agencies and others. If your organization is listed on the ACA website - whether you are a paid member or not - we want to include you in everything that we communicate about public benefit flying. As we participate in dialogue about public benefit flying organizations, we need to be able to confidently quote industry facts. In order to make that happen consistently, we need to know that we have the right information. As is true with most data, if each person (group) verifies and updates his or her own information, the data remains useful and correct. Please take a moment to go to the Listings section on the ACA website aircareall.org and verify that all of your organization's information is accurate. Is your name, address, email, phone(s) and fax correct? If not, please send an email with the corrections to me sandyjohnson@aircareall.org so that we can make the necessary changes. The Air Care Alliance is lucky to have valuable expertise in our membership and to be able to utilize that knowledge to benefit the rest of the public benefit flying community requires on-going communications. Help us to keep the data clean so that we are always up-to-date for you. If you are planning to attend the AOPA Summit Nov 11-13th in Long Beach, CA we could really use some help. The ACA Staff (Rol and I) will be staffing the booth for the entire three days of AOPA Summit. If you can spare an hour or two, we would love to have you share the booth with us. Please let me know if you have some time you can help staff the booth. Thanks for all you are doing. On September 7, 2010, ACA responded to the Safety Recommendations letter of June 9, 2010 and issued recommendations to all known volunteer pilot organizations (VPO's).The NTSB made recommendations concerning (1) verification of pilot currency, (2) disclosures to passengers that volunteer flights were not regulated as commercial flights and (3) development of written safety guidance, best practices and training materials for volunteer pilots. These recommendations arose out of the NTSB's investigation of four accidents that occurred in 2007 and 2008 involving volunteer medical transport flights. In response, ACA agreed in substance with the NTSB's recommendations and urged VPO's to adopt policies as best suited to their operations. In addition, ACA is teaming with the Air Safety Institute of the Aircraft Owners and Pilots Association to develop the recommended safety materials and make them available to volunteer pilots. ACA is seeking the support of all VPO's in developing these materials. 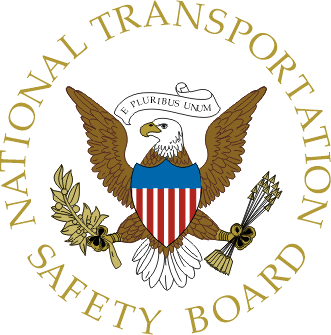 The NTSB recommendations came after a collaborative effort which included several meetings with members of the NTSB staff, Lindy Kirkland (ACA President) and Steve Craven of Air Charity Network. In formulating its responses, ACA relied on input obtained from volunteer pilot groups beginning as early as December 4, 2008 when ACA convened a special meeting in Kansas City, Missouri, hosted by Angel Flight Central, to examine safety issues. ACA also solicited guidance from VPO's when it distributed the NTSB recommendations and received many helpful comments. 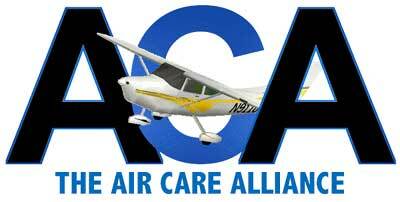 ACA also received extensive feedback from groups attending a meeting at EAA AirVenture in Oshkosh this past July. 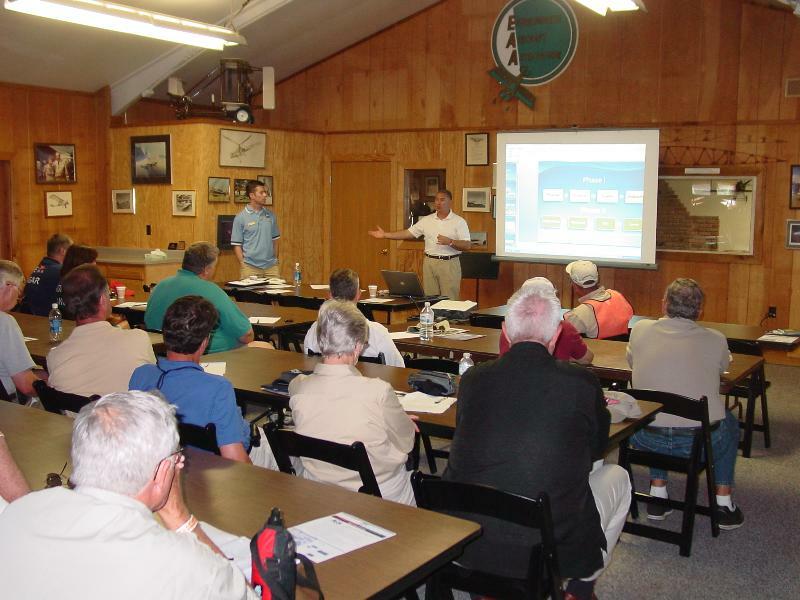 VPO Reps Meet at EAA AirVenture to discuss NTSB Recommendations. ACA takes over the Biggest Little City! The "Biggest Little City in the World," Reno, Nevada, was the scene of the 2010 Air Care Alliance Conference, hosted by Angel Flight West. The Siena Hotel, situated on the edge of the Truckee River, welcomed 65 delegates from 19 public benefit flying organizations from across the country. Leadership personnel gathered to discuss current issues that impact charitable aviation, to learn of opportunities that they could implement in their organizations and to network with their colleagues in public benefit flying. 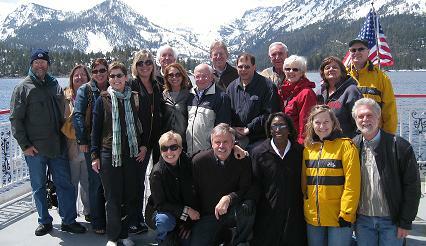 The day prior to the conference about 20 of the attendees shared a spectacular luncheon cruise on Lake Tahoe. The crisp blue sky and the rippling blue waters, ringed by the breathless beauty of the snow-covered mountains, were an amazing sight to behold and a glorious prelude to a magnificent weekend. The cruise day concluded with a warm opening reception as friends greeted old friends and new friendships were forged. The main day of the conference provided a wide range of sessions on topics to benefit those who gathered with a common purpose of enhancing the services of their organizations. Safety issues dominated the morning schedule, with a lively panel discussion comprised of Judy Benjamin of Angel Flight Central, Jennifer Hotsko of Angel Flight East, and Alan Dias of Angel Flight West. The panel was moderated by Lindy Kirkland, President of ACA. Presentations were focused on their organizations' responses to the safety dialog that has continued since the accidents of 2008. Following the panel dialog, a very informative session was given by Tim Burtch of the NTSB, who provided insights into the workings of the NTSB and shared his perspective on how the NTSB views the safety issues of public benefit flying. A vigorous discussion ensued regarding the fuel reimbursement exemption issues that were recently issued by the FAA. The morning was capped off by a presentation by Selena Shilad, the Executive Director of Alliance for Aviation Across America, regarding the Nationwide Economic Impact Survey. The afternoon sessions were a potpourri of issues, opening with a panel, moderated by ACA Board Chair, Rol Murrow, and made up of representatives from CARE (Corporate Aircraft Responding to Emergencies) and Bahamas Habitat, providing an inspirational look at the variety of compassionate aviation responses to the recent earthquake in Haiti. Smaller workshops addressed critical issues of board development, fundraising and disaster response. The day and the conference concluded with a social hour and dinner in the fascinating setting of the National Automotive Museum with the spectacular Harrah collection of vintage vehicles. Aviation humorist and instructor, Cathe Fish, was the dinner speaker, providing ample laughter and aviation insights to wrap up another great Air Care Conference. In what seems like warp-speed time, Operation Angel Planes of Rhode Island, our host for ACA 2011, already has pretty-much wrapped up plans for our annual meeting in Providence, Rhode Island. 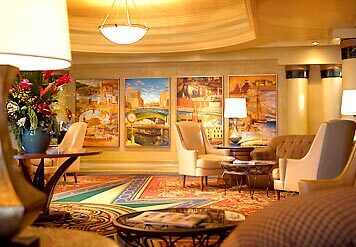 Marriott Providence Downtown where the event will be held next year from April 15th through April 17th, will include a day-long excursion for those interested attendees to the City by the Sea: Newport, Rhode Island. While the agenda for the national meeting has not been finalized as of the date of this newsletter, events seemingly would dictate that 'best practices' likely will be the focus of ACA 2011. Finally, instead of our trying to hype next year's event, we've decided to let this gem of a location speak for itself through our listing of a few e-sites that just might tell the story better than we ever could.